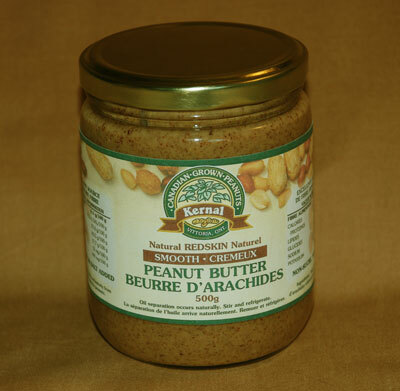 Natural peanut butter made with Ontario Grown Valencia peanuts. 100% peanuts, no salt or sugar added. Available in smooth or crunchy. Nutritious and delicious.